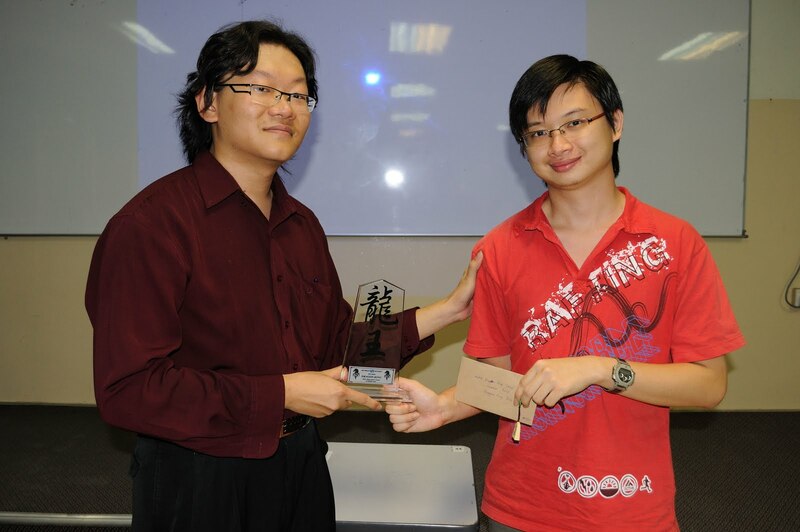 Finally the 2nd MMU Dragon King Shogi Match Closed Summer 2011 finish, it is still a great success for the event. Anyway I am now become the arbiter of the event, I cannot take part in the game. I in charge of anything about the rules and the progress of the whole event. We use the timers as everyone got half an hour to use. 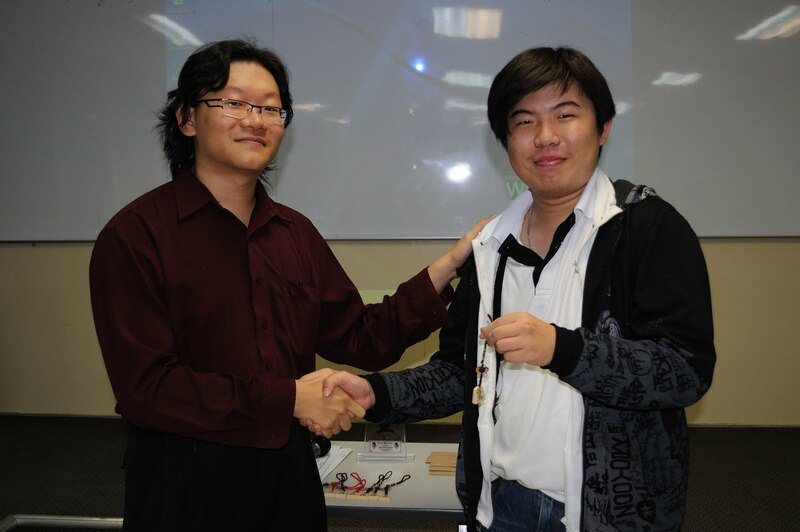 But anyone who violent the rules, we will reduce half of the leftover time of the fraud player. 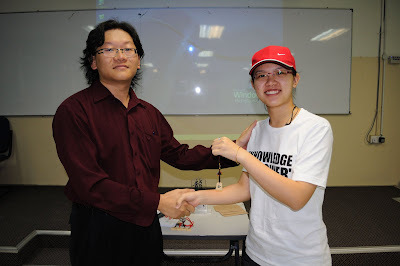 If the timer finish, the person still got 30 seconds to move the next move. 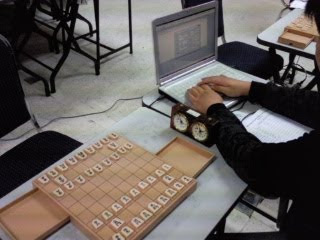 That is byo-yumi, something special about the shogi match is the countdown of the timer. 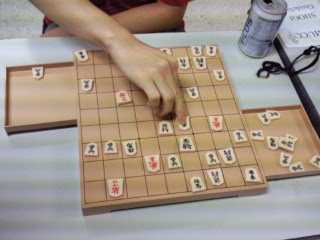 The shogi game will not end easily by time, shogi game either end by wrong move or a makemashita from the player, that is surrender. 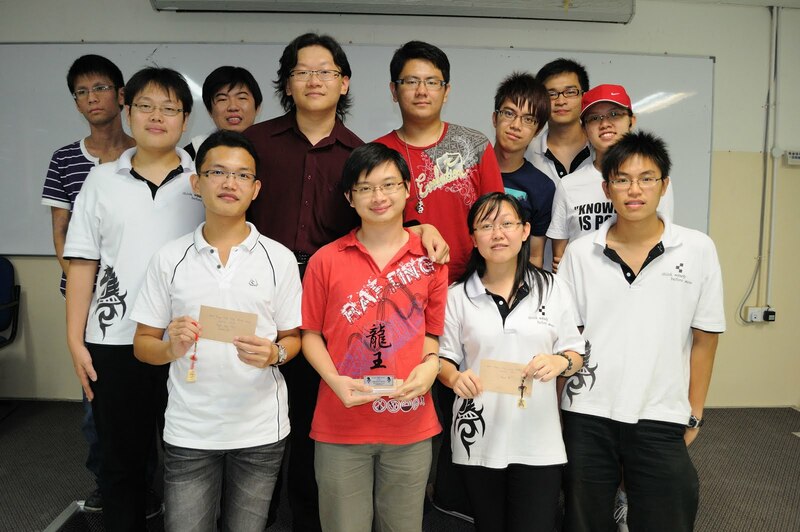 This time only got 10 players, compare with 14 players last time. Anyway, I still wish that I able to be the arbiter of the next match. 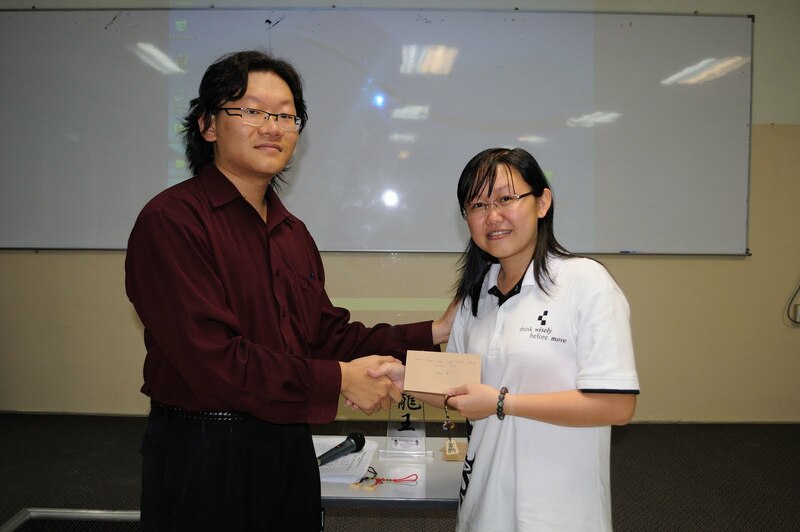 Due to there are 3 peoples went home earlier before the prize giving section, I just post 7 peoples pictures for the prize giving section. 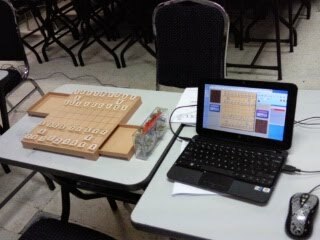 Quite a long time since last time I update my blog, ok this time, 23 April 2011 there will be the 2nd MMU Shogi Match Closed Summer 2011. 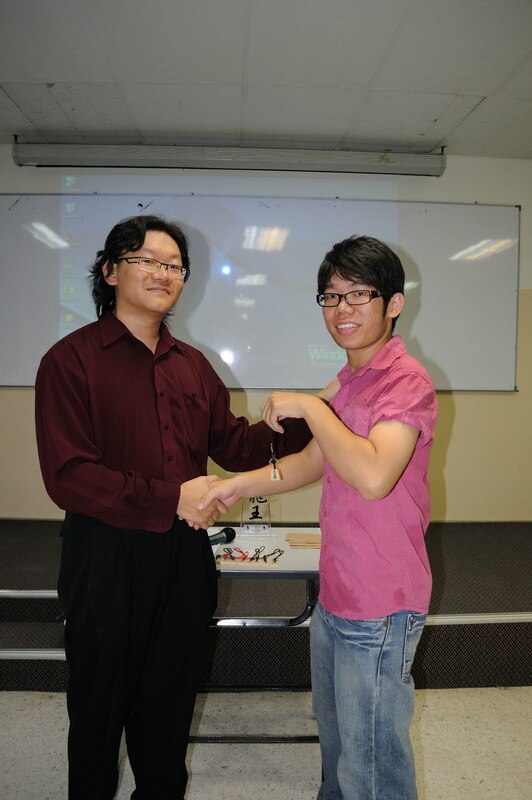 As this is the second time of the match that is directed by my student Apple. 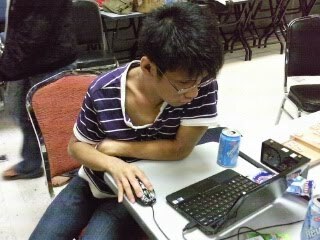 It is the same as usual that I am unable to take part in the match. 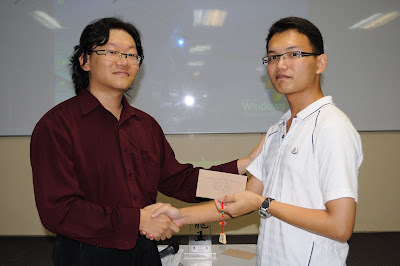 This time I will be the arbiter of the match. 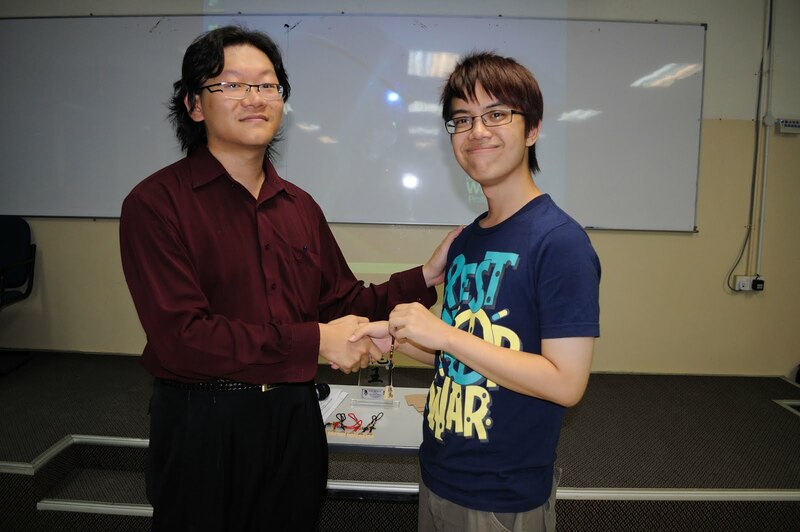 I wish to invite Ryoutakehito to our match but unfortunately that he is study at Melbourne that he unable to attend the match. Ok, is me back to my blog again finally. 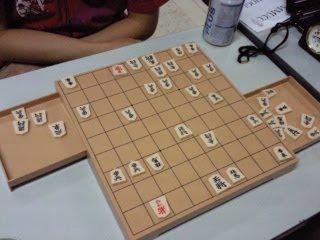 After such a long time I never update my blog, I feel that I need to burn up my shogi passion again. 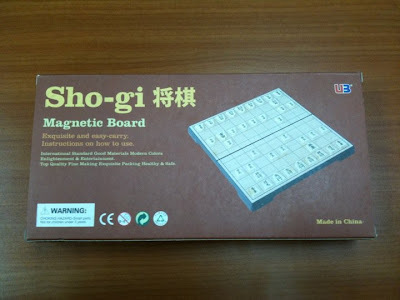 This time, I import about 25 sets of magnetic shogi from China. 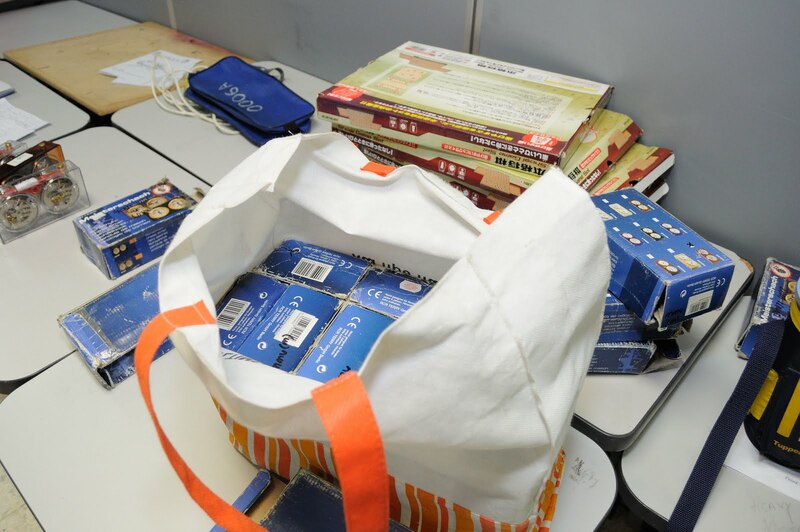 Try to sold all of this to all my fellow desciples in my university. 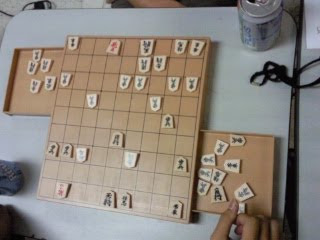 At the same time I am trying to sell all of it to all Malaysia shogi lover and whoever is interest in it. 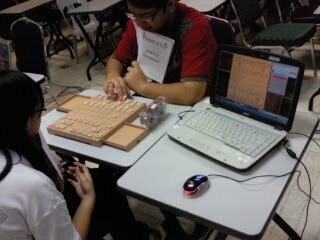 All shogi here only sell to Malaysian!!! Feel free to email me that if you want to buy the shogi. 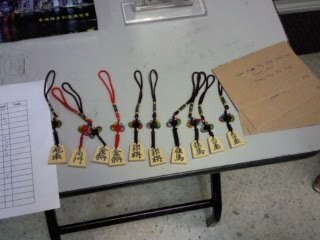 I will sell it for RM28, it includes the pawn keychain and a shogi guideline that made by me in english version, but postage fees is not included, you need to paid the postage fees yourself. Tell me in the email what kind of postage you would like me to send. 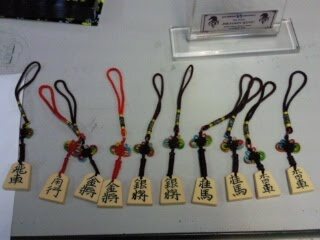 You will able to face-to-face buy the shogi if you are around the Bandar Sunway area, and also the Mahkota Parade, Ayer Keroh in Melaka. 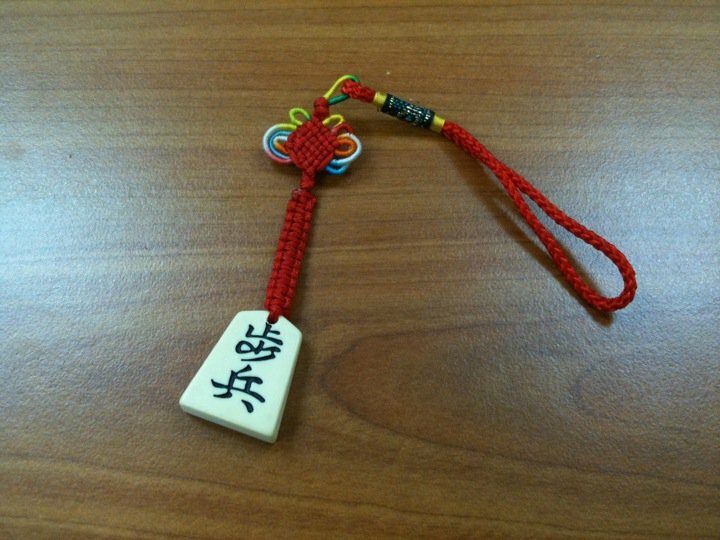 You can inform me whether you want a chinese version guideline, if you need, I will try my best to translate it to chinese version. For my review, the magnetic board is nice, the design and the pieces is ok, the magnetic is not that strong,,, so don turn your shogi board to 90 degrees or upside down. 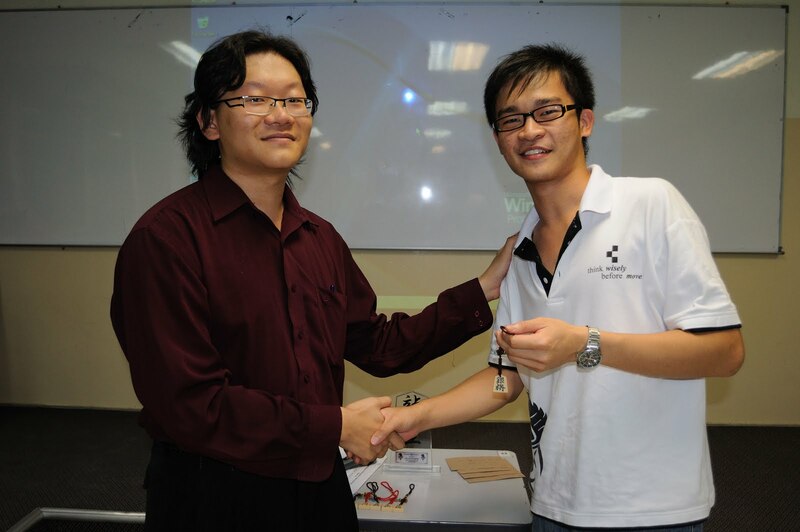 It is just make sure that your piece will not run away even you move your board from table to another table. The keychain is an adorable tiny cute thing that you can hang in on your bag, wall, pendrive, house key or anywhere else that you like to. 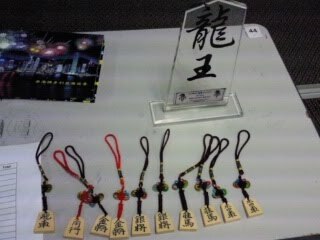 3 April MMU Dragon King Shogi Match Closed Summer 2010~~~!!! 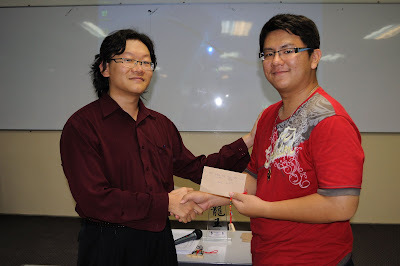 The 4 envelopes is the cash money for the top 4. Final round, The checkmate move to be a Dragon King!!! 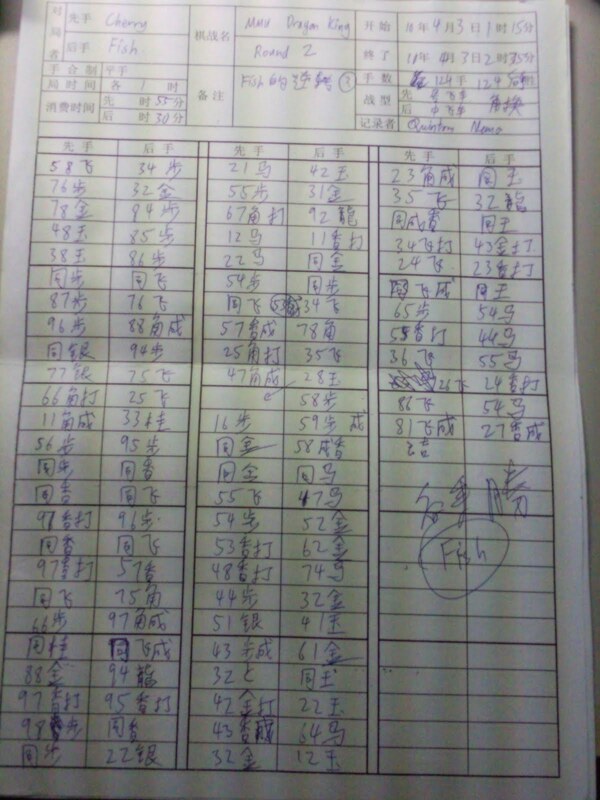 The result list, totally 10 players. 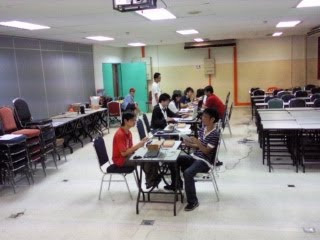 Due to the stupid photographer snailing with his camera and photo progress, make me unable to update the blog after the shogi match, so far till today I still unable to get the good quality photo from him, since everything is late, I will just update the blog first and attach some bad resolution picture of the matches. 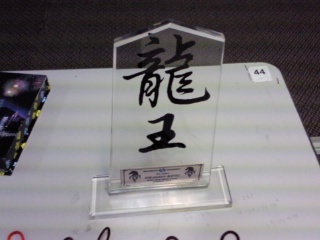 for 3 rounds. 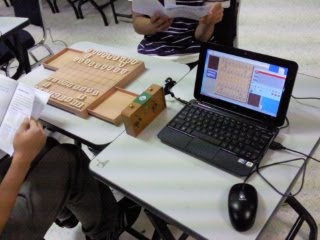 6 laptops are used for this event for recording the kifu of the matches. I and a few committee as the recorder of the kifu. 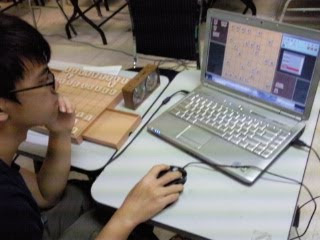 At first round, we are using the BCMshogi for recording the kifu. 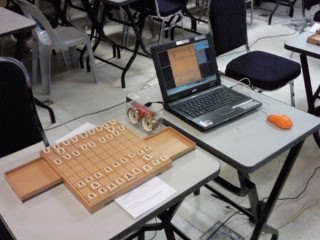 After the first round finish, we found that the software can only save half of the kifu we recorded, not sure whether it is a bug or error. 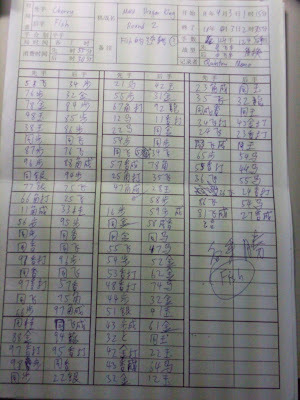 Then, Ryou Takehito download another software for recording the kifu, that is shogidokoro. 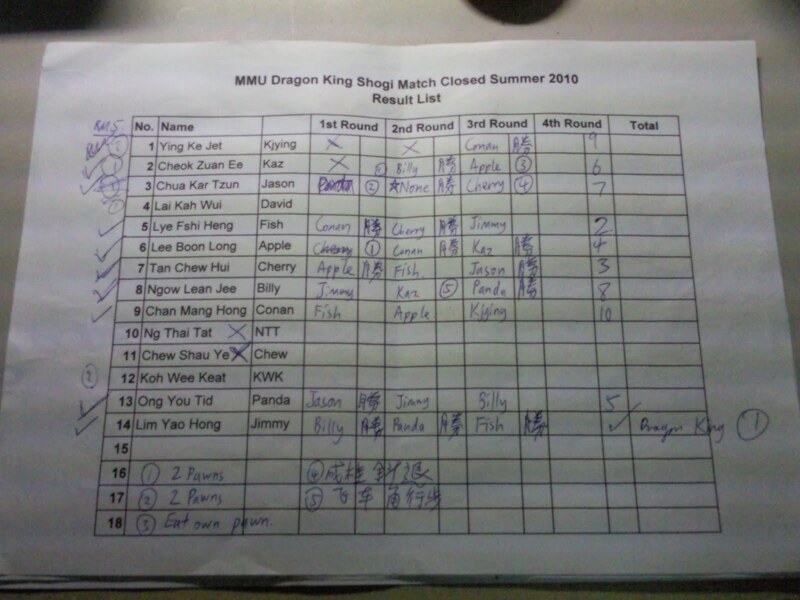 However not all the kifu is recorded, at least the final round of the dragon king match is recorded. The overall, there are 13 games. 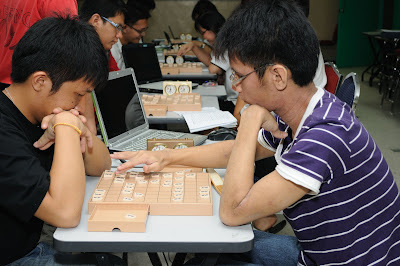 5 games end with illegal move. - 2 2 pawns drop. 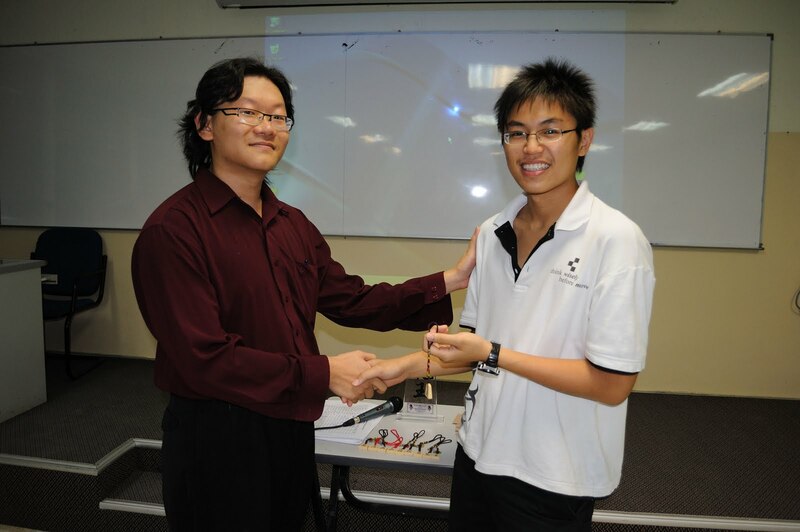 - 1 Eat own pawn with Knight. - 1 Rook move like Bishop. 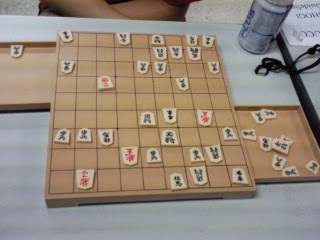 The Result of the shogi match. 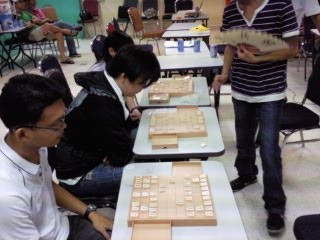 After the event finish, Ryou Takehito was asked to play with 3 peoples in a row. The players are Billy, Cherry and Fish. 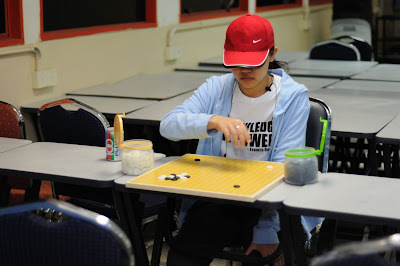 Billy was playing with 4 pieces handicap that is rook, bishop and 2 lances from Ryou. However all of them lose to Ryou at the end, they learn a lot from Ryou. 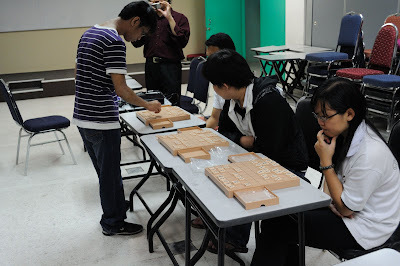 I feel so proud of myself for holding this event as this is the first inner university shogi event in whole Malaysia. 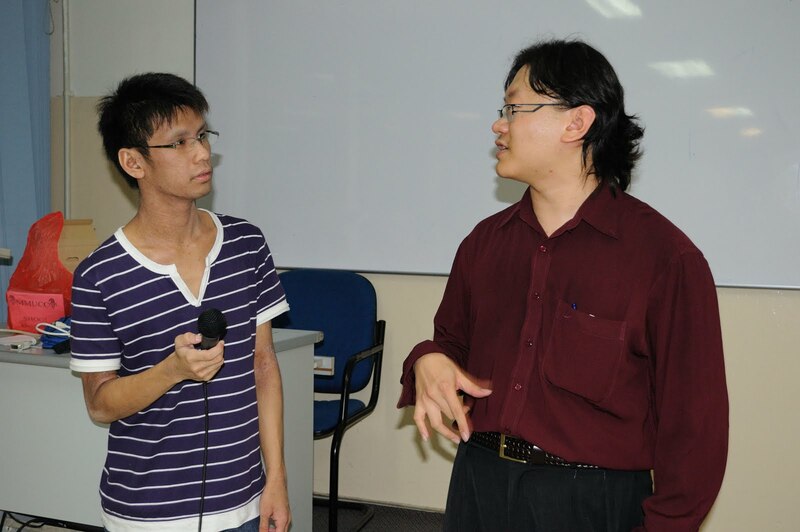 I feel honor that Ryou Takehito willing to sacrifice his free time to attending my event as arbiter. And I feel so happy that all my chess club friends come to support my event. 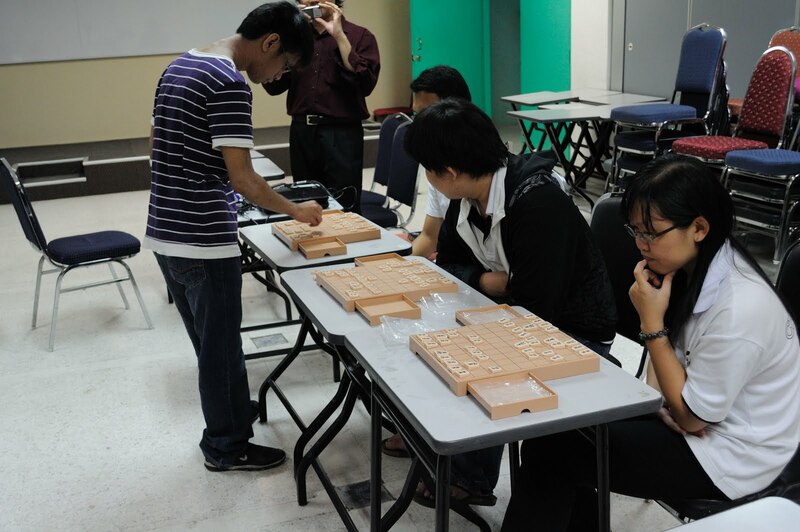 Wanna buy shogi set in Malaysia? You found me! 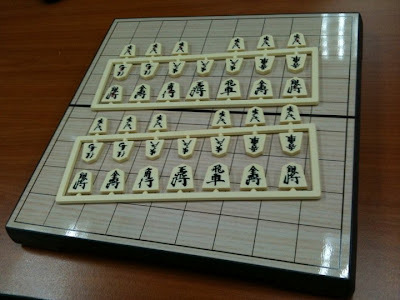 I will contact you as fast as possible to fulfill your wish of purchasing shogi set =D.